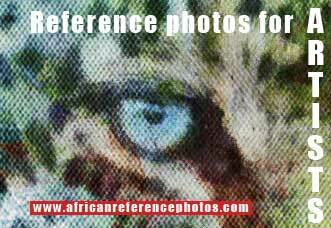 These antelope images, including impala, kudu, waterbuck and steenbuck, are from conservation areas and national parks in South Africa, Botswana, and Zambia. The photos of impala show some of this family's habits, particularly how they gather in herds, often with a single ram taking control of a breeding herd of 15 to 20 females. Once in this position of dominance, he can never relax as there are constant challenges from other males desperate to take over his harem and produce their own offspring. As the pictures of kudu bulls suggest, the males are solitary or form bachelor herds. The females form family groups of about a dozen cows and calves. It is only the males that carry the imposing spiral horns. Kudu run with their tails curled upwards, exposing the white underside as an alarm signal. They are powerful jumpers and can clear 2m (6ft) fences with ease; under stress they can clear up to 3m (9ft). Average size for a kudu bull's horns is 114cm -152cm (45" - 60"). When threatened, waterbuck will take refuge in water, sometimes hiding under the surface with only their noses exposed. They will do this even when there are crocodiles present, but seldom seem to come to harm. When on safari, don't simply rush past antelope in search of more exciting viewing. They are visually pleasing and interesting to watch, so will often provide excellent picture opportunities. 1.Male waterbuck in winter grass"